OK, Type A girls and boys….We’re heading into summer. 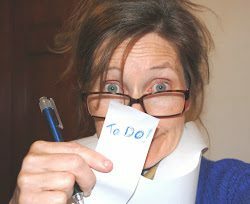 School’s almost out and I know you’re getting antsy about your kids running around without a list of “To Dos” to keep them busy! First of all, take it from an OLD mother — You’ll miss this time with your little ones once your kids are grown up, like mine. Nothing is better than having some down time with your children in the summer. You can use Christian materials to fill the day with Bible teaching and fun! If you want to create your own Bible Study, how about discussing a Proverb a day? Read a Proverb a day and discuss it with your child. It’s believed God used Solomon to write most of this book to teach people discipline and how to live a good life-great lessons for kids! Make a chart of the Proverb Chapters and let the kids mark or sticker them off as you discuss them. Draw pictures to illustrate the verses, or put on a play. You are only limited by your imagination! Let’s Hide the Word and Let’s Make a Memory — books about making Bible teaching a special part of your child’s life. Secret Keeper Girl — Tips on helping your preteen daughter prepare for adolescence God’s Way. Keeping the Family Together…When The World is Falling Apart — Resources on raising a solid family. HAVE FUN! 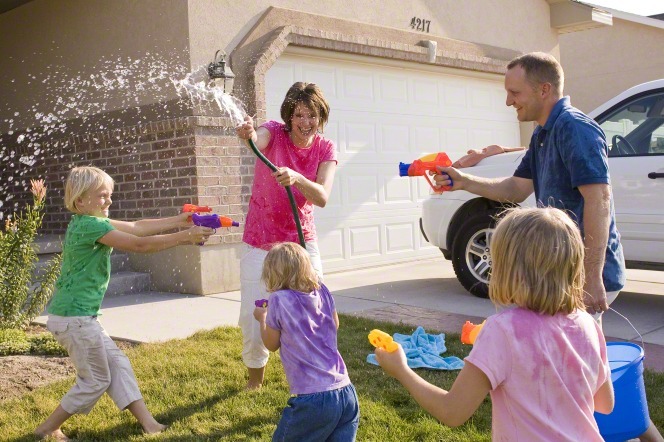 — Even a Type A can relax with a water fight — Your kids will remember that watery mess and the fun mom FOREVER!